YouTube 2013 Rewind - how many you watched? YouTube is in the path of replacing convention TV station. There will be one day that more video being watched on YouTube compare to TV station. 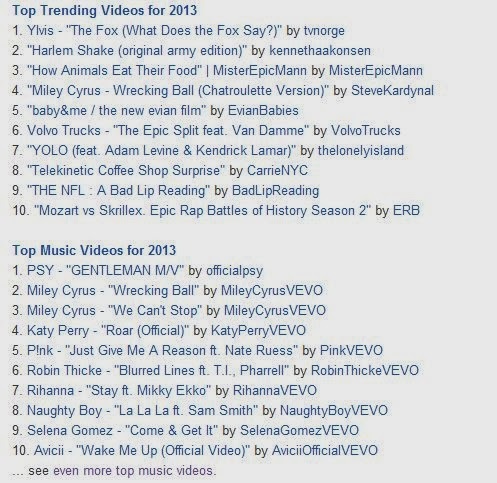 YouTube posted the most watched video and music video in 2013. How many you have you watched? How many like usually you get when you post something on your FB wall? This infographic explain how good or how pathetic you are, hahah. What is the most popular holiday toys over the last 50 years? Well, in US, not worldwide, but it is still interesting to find out how many that you own or you know of. How these daily symbol invented? There are too many symbols that we take for granted. 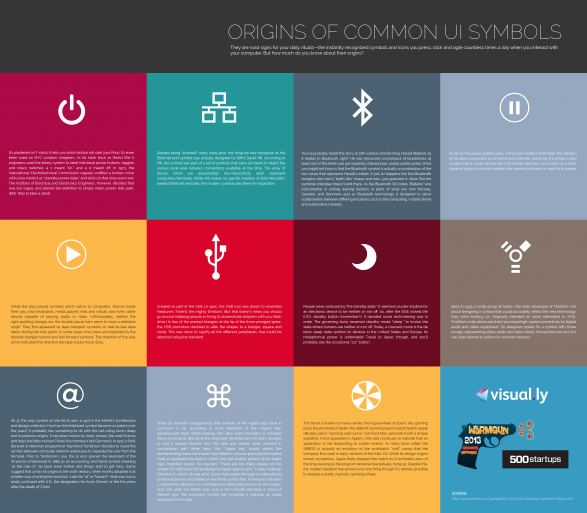 See this infographic to understand more how these daily symbol being created or invented. Ever since I start working, there are little time to play long haul games. But I still interested to see if any game worth my time to play with. Here is a compilation of games in 2013. How many you can spot? How many did you play? How many did you completed?